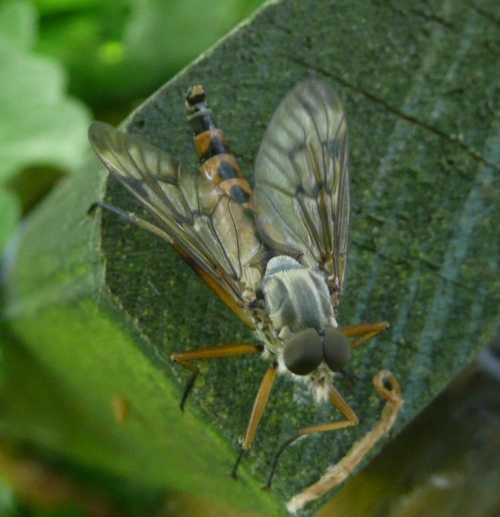 Length 8 to 16 mm. 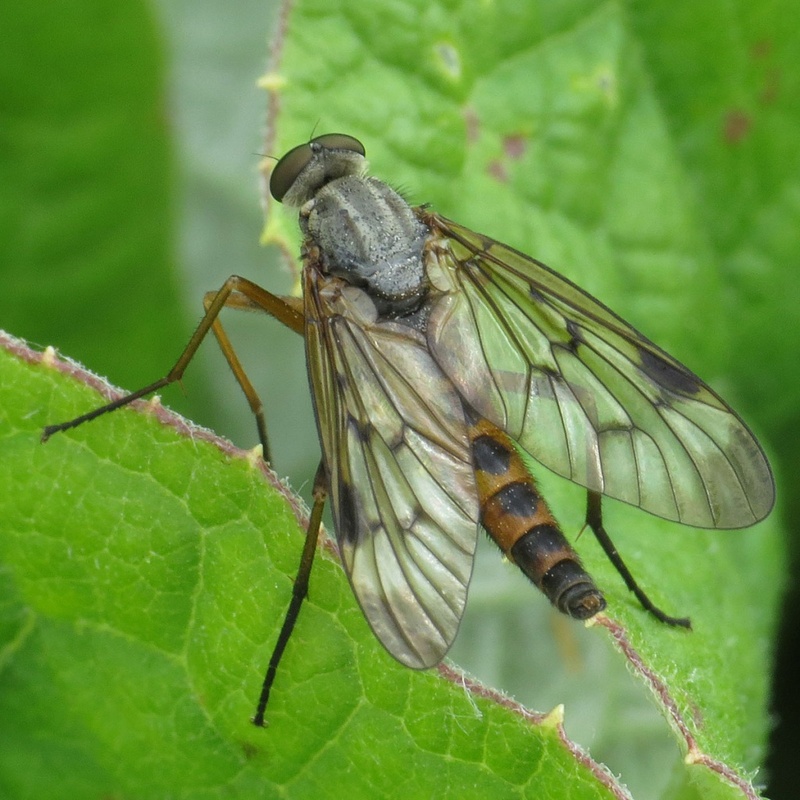 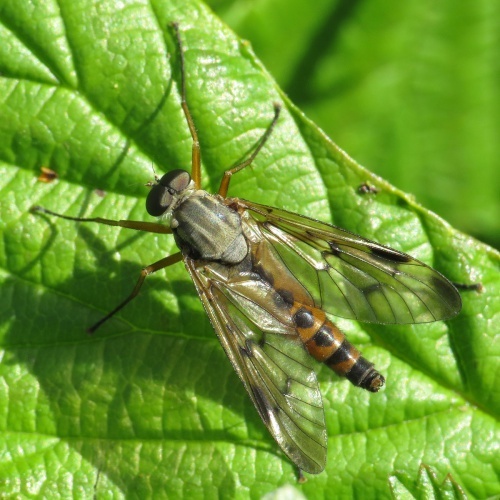 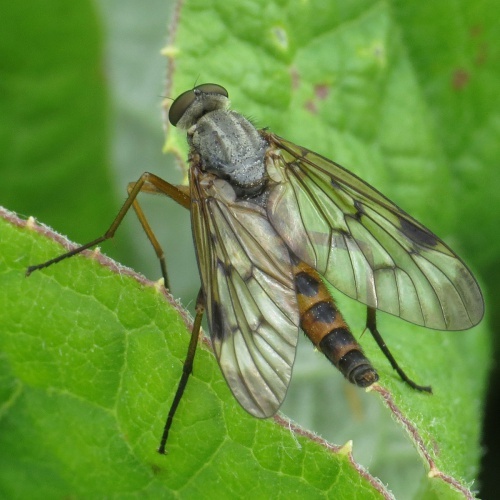 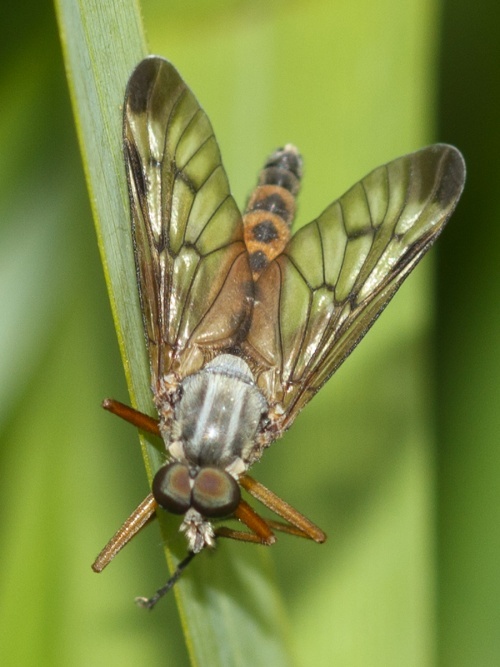 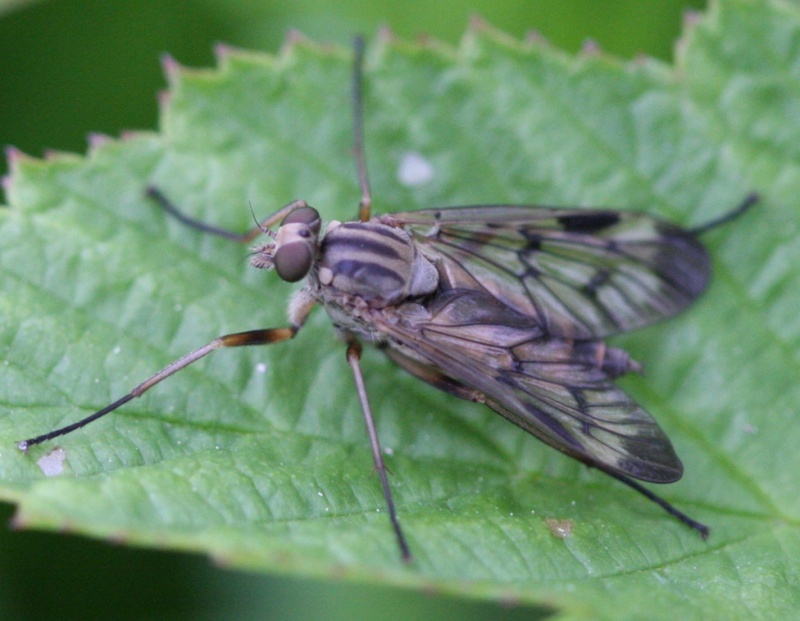 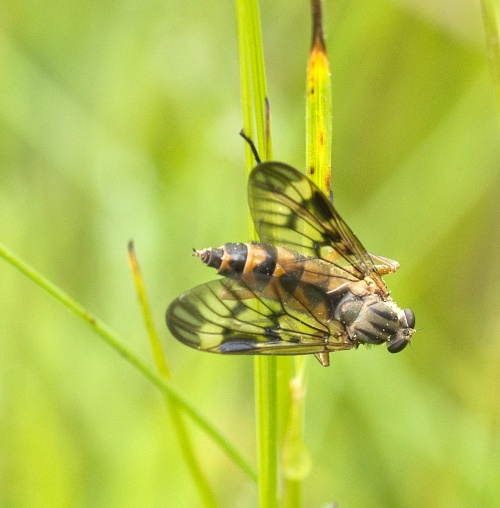 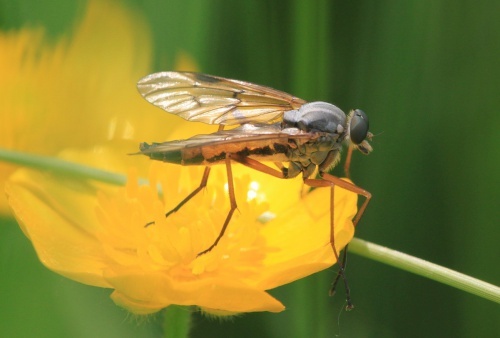 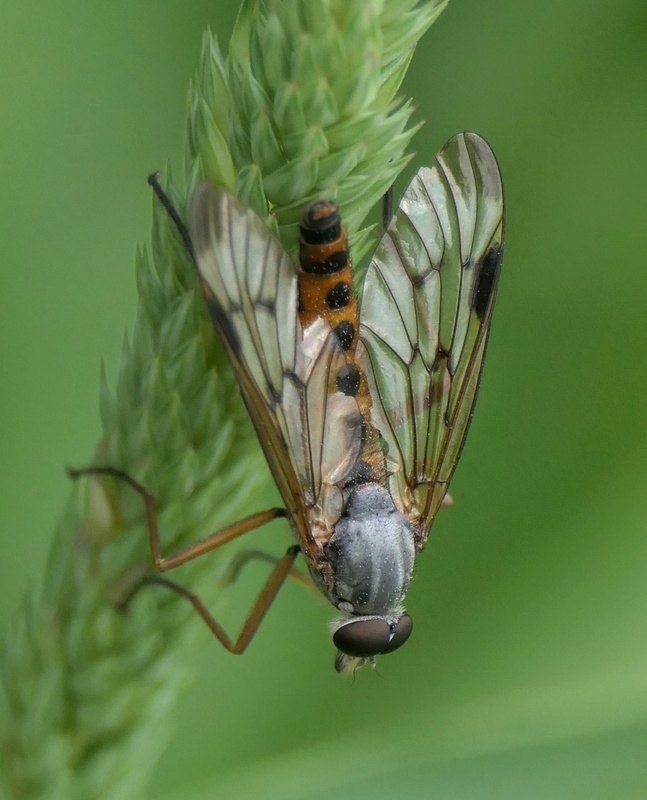 Like other Rhagio species R. scolopaceus are yellowy-orange (sometimes darkened) flies with long, slender legs. 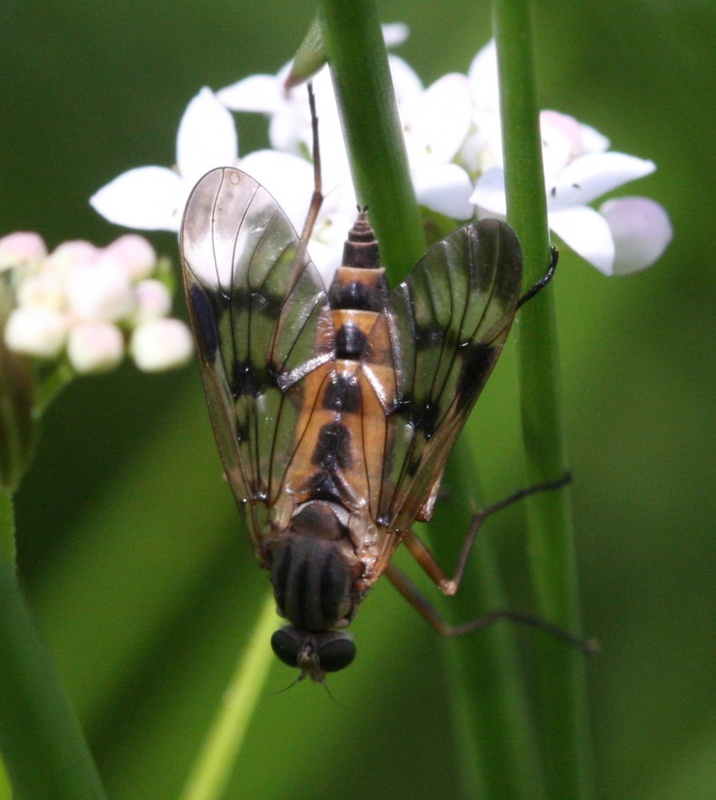 The sides of the thorax are grey as are the tops of the legs. 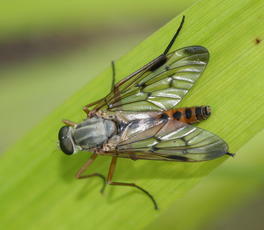 The wing has several darkened marks. 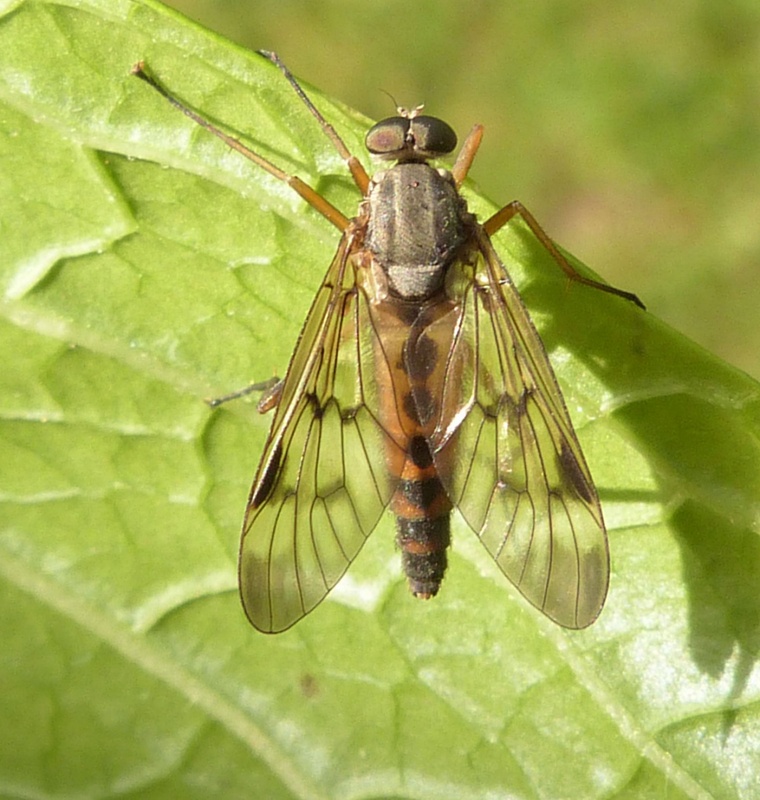 They tend to sit on leaves in moist vegetation, and can be seen in hedgerows and woodland edges. Their larvae dwell in the ground.